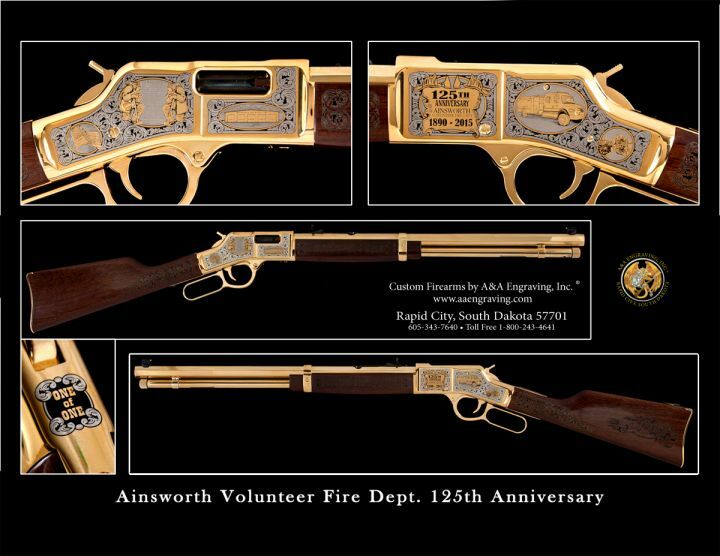 Fire Departments | More | Inventory | A&A Engraving, Inc. 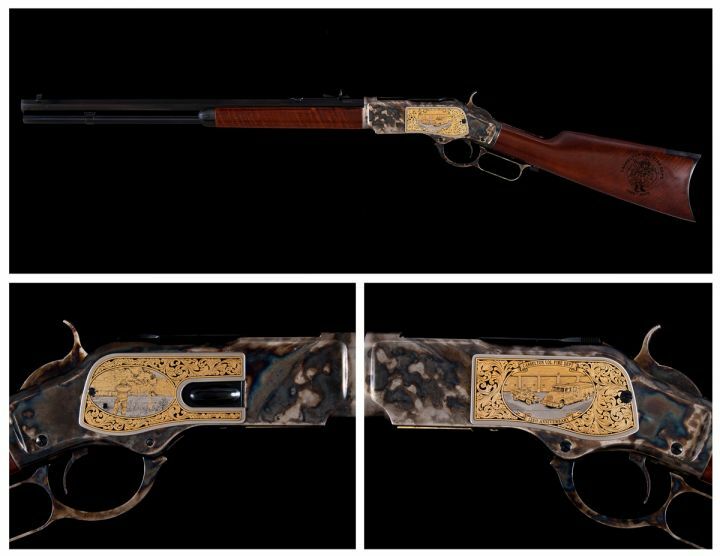 Finish: 5-tone Deluxe 24K gold finish, gold barrel, hand-finished high gloss American Walnut stock with laser engraved stock and forend. 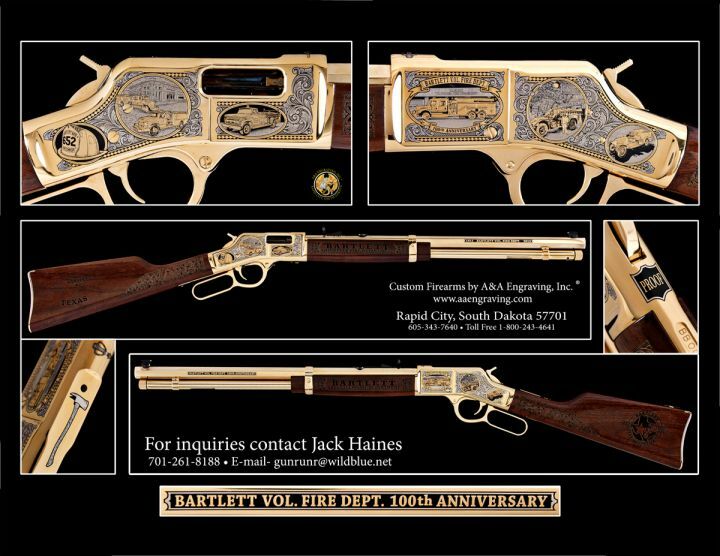 Finish: Custom finished 1873 sideplates in brushed nickel and 24K gold. 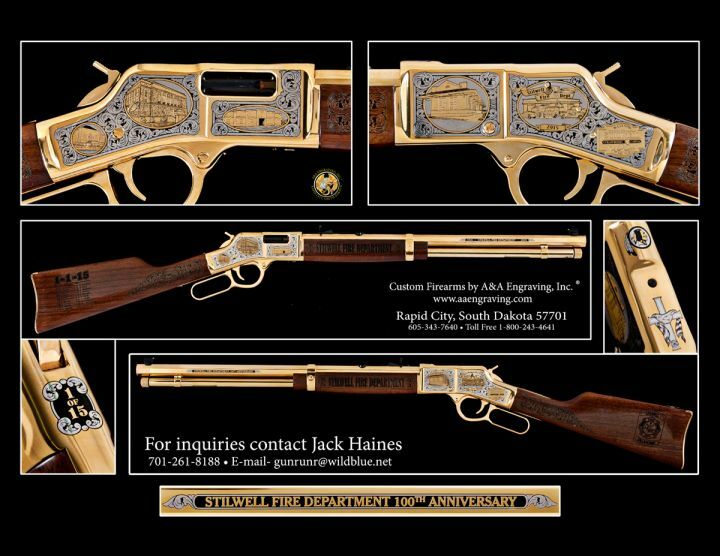 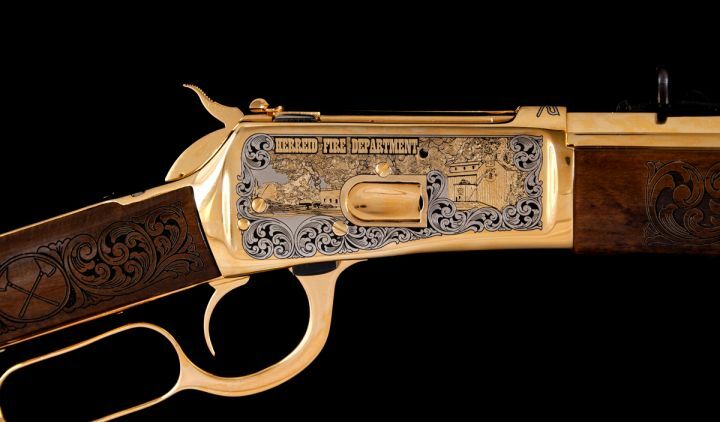 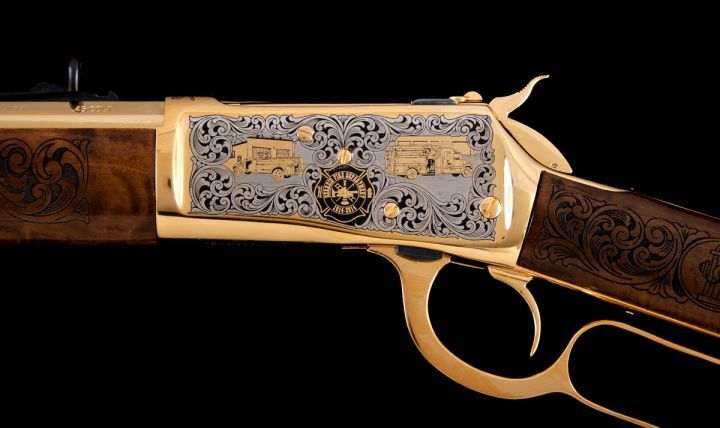 Finish: 5-tone Deluxe 24K gold finish, gold barrel, hand-finished high gloss stock with laser engraved stock and forend.